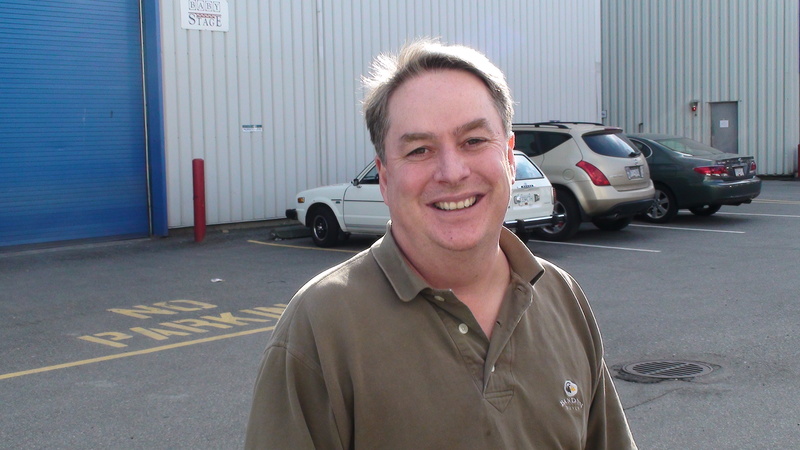 Joseph Mallozzi's Weblog: April 9, 2009: Parting is Such Sweet Sorrow, The Writing Bug, Hey Kids Comics! April 9, 2009: Parting is Such Sweet Sorrow, The Writing Bug, Hey Kids Comics! Ashleigh's "Please don't send me home, I love it here at the office!" look. Carl's "I don't want to go home!" look. 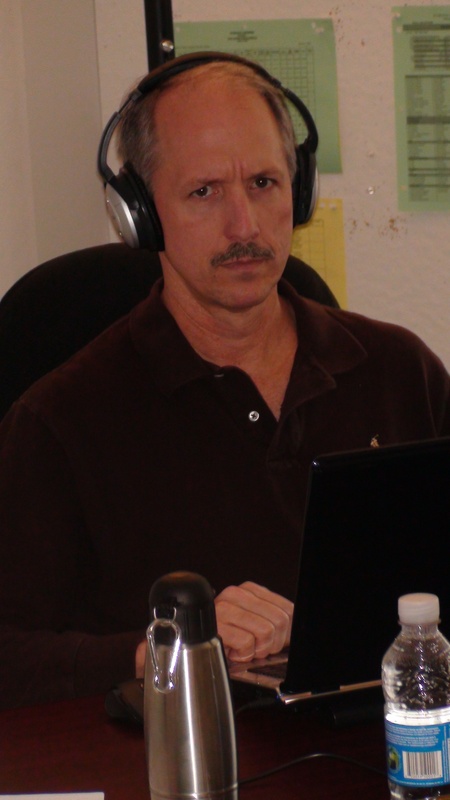 Brad's "I may seem happy but I'm really all torn up at the thought of being away from the office for so long." look. Given the family atmosphere of the production, you can imagine how hard it is for us to go our separate ways. A regular weekend is bad enough but a long weekend?! Emotions run the gamut from delirium to outright frustration. Don’t believe me. Check out the above pics of my co-workers facing the prospect our having to go our separate ways – however briefly. Carl angry, Ashleigh anxious, Brad’s seeming joy belying a bitter disappointment. And then check out Carl’s reluctant departure for home in the video (note: I‘m interpreting that exasperated sigh at the end as his sad realization that he won‘t be back in the office until next week). Can you imagine a sadder individual? To tide myself over while I’m away from the office, I bring my work home with me. This way, even though I convey the illusion that I’m at home relaxing, I’m actually still toiling away. Only the setting had changed! That’s the beauty of being a writer – you can work anywhere: at the office, from home, in your car, lying in bed trying to get to sleep, while watching t.v., in the shower, in the bath, in church, while out for dinner, while your significant other is complaining about something you’ve done, in the hospital emergency ward, at a friend’s wedding ceremony, when company’s over, at a dinner party, while someone is telling you about their life-altering trip to Machu Picchu, in a taxi, on set, walking down a corridor in the production office, in a plane, on a train, on a boat, while cooking, in your dreams, while brushing your teeth, while getting dressed, while walking the dogs, while working out, during your uncle’s speech at a family reunion. The possibilities are truly endless! And the best part is that even if you have no desire to write, you’ll be writing anyways because ideas, like alien memes and that new Flo Rida song, are going to be swimming around in your head despite your best efforts to dismiss them. I ask you: Who wouldn’t want to be a writer?! Speaking of writing – I, uh, actually didn’t do any today. No, not true. Technically, I didn’t put pencil to paper (Actually, I haven’t put pencil to paper since high school. The advent of home computers did away with the needs and, besides, I was always a pen guy. The scratchy-scratch of pointed lead on paper always made my skin crawl. But I disgress. ), but I did re-read, and re-read the Atlantis movie outline (titled Stargate Atlantis: the Movie though I think we‘ll eventually go with something a little more dynamic like Destiny of Chaos, Dark‘s Mercy, or The Quickening), made some mental notes, read what Paul has got so far, wrestled with that last unanswered question, started thinking about how to reunite a couple of separated players, thrilled to the diabolical twist, corrected a couple of spelling errors, then set the whole aside so that I could take a break and read a chapter o Jasper Fforde’s The Big Over Easy. Speaking of comics – as I mentioned in my previous posts, I’ve decided to rekindle my love for comics. Well, that’s the plan anyway but I seem to be having trouble finding a spark. The plan is to pick up close to all of the major books being published, read an issue or two, abandon the ones that fail to interest and keep reading the ones that leave me wanting more. Over the course of the past couple of weeks, I’ve picked up about 85 titles (including limited series and one-shots but not including trade paperbacks which I also picked up), read 16, took a pass on 11, really enjoyed one, was impressed enough with another, and am on the fence about three that I’m willing to give another chance. It’s pointless to focus on the books that didn’t thrill me (sadly, one was a title I used to enjoy now with another writer at the wheel, natch), but I will make special mention of Batman: Detective Comics that I did enjoy in the past. I picked up issues 851 and 852, hoping to get back into the swing of things with my favorite caped crusader (I loved Rucka’s gritty storytelling back in the day). I read 851 and was intrigued enough – only to discover the story was to be continued in another title (Batman 684). I moved on to issue 852 and, amazingly, was confronted with a similar situation (“Continued in Batman #685”!). The dreaded crossover! Bane of my existence! I mean, seriously! What’s the point? Why not just start and finish a story within the same title? Or, if it’s a matter of making more sales, make it a bi-monthly title. Don’t leave me to scramble back to my local comic store in search of titles that may or may not still be on the racks. I’m sorry, but this is reason alone for me to drop both Bat titles. 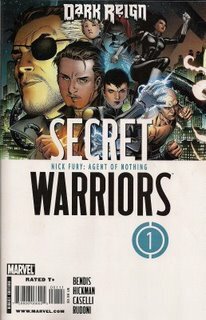 Secret Warriors – Nick Fury: Agent of Nothing, Story by Brian Michael Bendis & Jonathan Hickman, Script by Jonathan Hickman, Illustrated by Stefano Caselli. I know nothing about these characters outside of Nick Fury, and little about recent developments in the Marvel-verse, but I was able to quickly catch up and follow what turns out to be a fairly intricate and engaging storyline involving an on-the-run Fury, an interesting group of heroes, S.H.I.E.L.D., H.A.M.M.E.R., Hydra, political intrigue, and more than a few surprises. Really smart and exceedingly enjoyable. Caselli’s art is an eye-grabber. 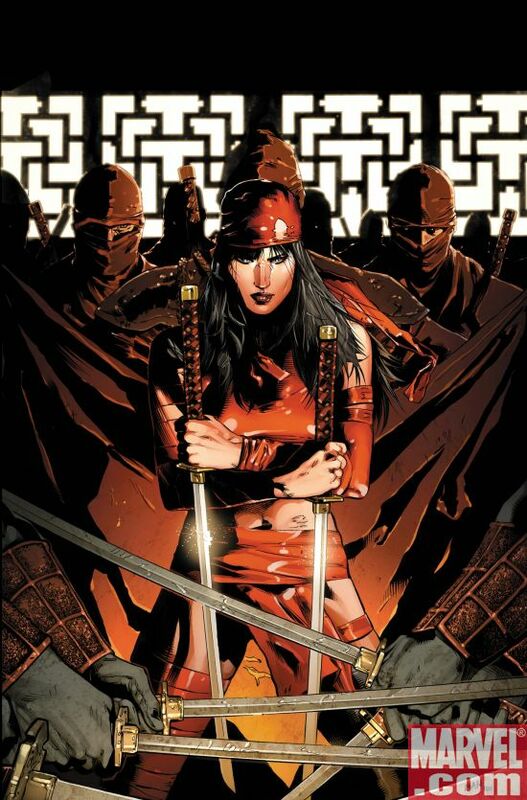 Dark Reign: Elektra – Written by Zeb Wells, Illutrated by Clay Mann. It’s only one issue but so far, so great. Both script and artwork deliver. An injured Elektra falls into the hands of the Harry Osborne-controlled H.A.M.M.E.R. Things look grim for Marvel’s sexiest assassin – until an unexpected guest pays her a visit. I’m cautiously optimistic. Dark Reign: New Avengers – The Reunion, script by Jim McCann, pencils by David Lopez. I’ve always been a big fan of hothead Clint Barton (a.k.a. Hawkeye), so imagine my surprise to hear that Marvel had killed him off. And then imagine my surprise to hear they’d resurrected him. No, no, I guess I shouldn’t have been surprised. While this limited series has a lot to offer, the fact that I didn’t know what the hell was going on half the time made the going a bit rough. Hawkeye is Ronin now? And there’s another Hawkeye? And there’s a new Captain America? 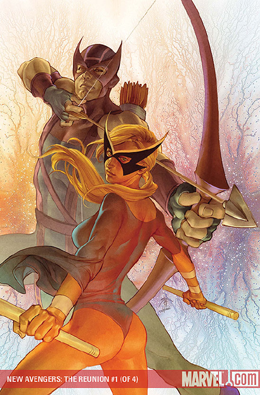 And what’s the history between Hawkeye and Mockingbird? I know, I know. Clearly, I’ve been out of the loop for too long. Still, the highpoint for me in the two issues I read is not so much the action hero element but the relationship at the heart of the story. I’m really on the fence about this one. For the most part, I had no idea what was going on as we hopped, skipped, and jumped our way through various scenes and characters. Loved the opening but didn’t know how it related to what followed (though I suspect we won’t get an explanation until next issue) and while enjoyed the check-in with the Flash’s rogue’s gallery, I was left with innumerable questions. What was the deal with that kids in the cornfield scene? 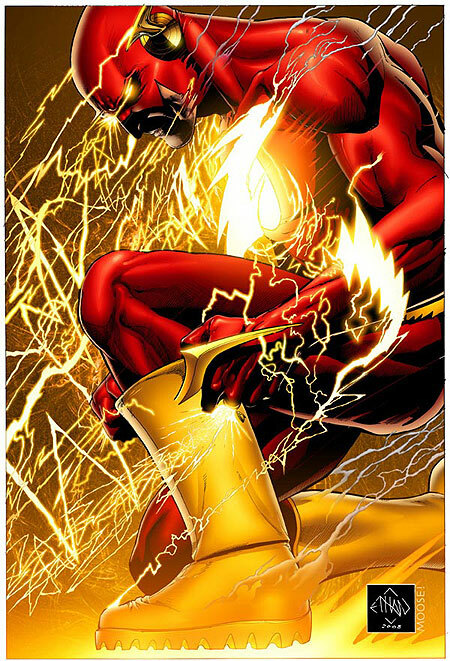 And, more importantly, while I understand why Barry Allen hasn’t aged (presumably he’s remained as youthful as the day he disappeared into the speed force) but what’s the deal with Iris? Why is she young too? Wouldn’t it have been both unbelievably cool and heartbreaking to have Barry come back to find the love of his life had grown older while he had remained the same age? 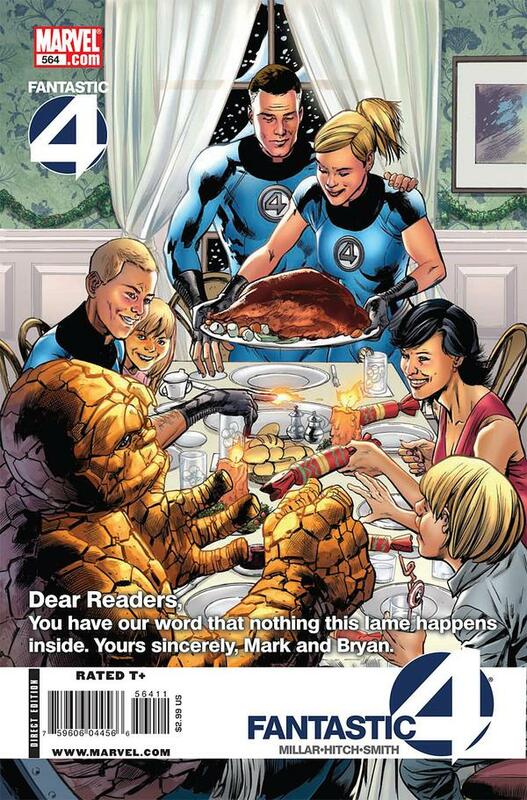 Fantastic Four – By Mark Millar & Bryan Hitch. While I really didn’t like the story (Isn’t it kind of coincidental that the Richards happen to be related to this guy who lives in a tiny village in Scotland that, for generations, has held a terrible secret? ), I did love Hitch’s artwork. Also, more than any other super group, I’ve always enjoyed the inner-team dynamics of the FF. The fact that they’re more than just a team but, quite literally, family make this title particularly engaging read. I’ll stick it out for now. will SGU have as much comedy as SG-1 and SGA had? I’m not Joe Mallozzi, but in response to your comment I hope SGU does have as much comedy as its predecessors. In lieu of this, I recommend inserting various fart noises whenever, in a scene, anyone sits down or stands up. It makes even the most dark and serious clips seem downright cheery. No photos of your own reaction to the enforced hiatus from work for the weekend? We grieve for all of your suffering. But the Big Over Easy is turning out to be fun, so no doubt that will keep you busy for all of three or four more hours. As for the comics review, you would have to go and mention Nick Fury. Looks like I’ll have to check out some of the comics you listed after all. I also applaud your progress on the Atlantis movie. I’ll be watching with great interest how many potential titles will be offered up before a final choice is made. Until then, thank you for the updates. What about the Farscape comics? Does anyone have an opinion on those? Joe, in regards to the Batman titles, the crossover stuff doesn’t end until June. When that happens, Batman and Robin #1 will hit (no more just “Batman”, this will feature the new Batman and Robin team), Detective Comics will feature Batwoman (with a backup feature by the new Question), and there will three or four other titles featuring villains, supporting cast, etc. I used to collect $150 worth of comics each month, mainly DC and a couple of Marvel (Brubaker’s Captain America has been pretty darned good). I’ve dropped most titles now. Green Arrow, Titan’s and JLA are really aren’t the books they once were. My fav characters, GA, Red Arrow (Arsenal), Nightwing, Atom, Flash, GL etc…all those characters have lost their magic to me in recent years. DC seemed to stir the pot so much they ruined a good recipie. I’m not reading any of the books you liked! Obviously, we have different tastes. I really would like to hear which ones didn’t work, and why….ya know, just so I can disagree with you. I know a few who are really excited about this one. Batman is the only DC character I’ll let in the house…lol… but someone also told me that Green Lantern/Green Lantern Corps is pretty good, too. I just read Aaron’s Weapon X today, and though it wasn’t as shocking as I expected it to be (damn gory, though), I have hopes for it, based on other things of his I’ve read and how he’s set up the story. Joe – a question for you about comics. Do the stories you read have to be more adult-themed, or do you ever just pick up one that’s designed for younger readers? I ask because I find that after reading some of the more graphic stories, I have to unwind with something like Wolverine and the Power Pack kids. And…honestly… sometimes I like those stories better. That’s my ‘guilty pleasure’ that I don’t admit to around the guys in the shop. For me, not every comic needs to be epic and profound…sometimes they’re most satisfying when they just leave me with a big, goofy smile on my face. Thanks for the chuckles!!! Carl sure is hilarious! Apart from Joe’s answer, I get the impression that the cast is just as fun-loving and familial as the past two shows’ casts have been. David Blue and Brian Jacob Smith say some of the funniest things to each other on Twitter, and I can’t even imagine how much funnier they are in real life! It would be hard for the show *not* to reflect that real-life humor!!! You know, crossovers problems like that are just one reason why I never got into comics. I also have issues with the print. The illustrations I almost find more tedious (too much stimulation for the senses? Or merely the fact that I like my own imagination and comic books feel like I’m being spoonfed?) than anything and then on top of it you have to read tiny print lost in a myriad of colors and often confusing as to which speech bubble to read first. I guess I’ve always preferred my (super) heroes in film/TV format. I’m a huge lover of Superman. But the actual comic is confusing for the reasons I listed and the originals felt like they were meant for a 5 year-old with how corny they were (though perhaps appropriate for a man/alien from a place called Smallville, Kansas?). After watching Watchmen I decided to pick up the graphic novel. I don’t mind it because I love the story, but it’s only reinforcing the fact that, if I continue to read them, I very well may need glasses. Re: The Big Over Easy, apparently the book’s set in my home town of Reading, which obviously excites me. How does the book depict my fair town? My birthday is Friday, April 10th. And, unfortunately Friday, April 10th is also Good Friday. I have a large party planned, but I find I’m being repeatedly dumped for Jesus. What would you rather do? Go to a church service heralding the death of a major religious figure, or enjoy mirth and merriment with me? The choice is clear to me. Damn this bible belt I live in. Joe, Carl…will you two just get a room already?! Thanks for the reminder! I loved Fforde’s Thursday Next series and did actually pick up TBOE a couple of weeks ago in anticipation of his guest spot here. I’ve been engrossed with an older Tim Powers novel that I plucked out of my Box o’ Wonders (mostly, books I pick up randomly all over the place and since I have no sense of order, place them in a box and dip into as one ends so the next can begin — I was lucky recently and managed to score 2 Robert Rankins in a row from the old box!) and as soon as I’m done with that by Saturday, I’ll move onto the Fforde. I started The Big Over Easy last week and am almost done. I had a feeling that it would be funny, but I love the wackiness of the story. I have a feeling that I will be passing this book around to people. It’s definately one of those stories that you sit down to read only a chapter and the next thing you know is you’re 100 pages into it and you don’t want to put it down. as you are telling about all the places you can wright you for got in a box with a fox… any way thats where my mind went as i read along….have a wonderfull easter weekend. Maybe I missed it, but why is there a break (is it just a week)? Elephantgirl, or as you once labled her, Elephantomgirl and I had dinner at Fuel on Monday while we were both in town. We elected to enjoy the five course meal. It was beyond amazing. Chef Belcham and his staff outdid themselves. When asked how we had heard of the restaurant, we told them that Joe Mallozzi recommended them. I could describe the meal in detail, but you are so much better at it than I. Suffice it to say, I will return to Fuel again and again. Sorry haven’t had a chance to get to any of the books this month although I previously read The Big Over Easy, it was very good. Japan ruined me for comics and other illustrated novels and my son has no interest. I’m still not sure why he watches Smallville. Maybe for the cars. RIP Dave Arneson, the other creator half of D&D, without which I may never have discovered the fantasy genre. Happy Easter Joe & everyone, have a nice Easter and/or Pesach. Joseph, I have an odd Stargate related question. I figure you might know the answer, or at least can find out from Paul Mullie. My attempts to “Google” for an answer have come up empty as well. In the episode “The Fifth Man” Tyler gets his name from an item made in Tyler, Texas. Was this an arbitrary pick, or did it have some special significance. I only ask because I was born there and it always made me smile. hmmm, spelling errors? Doesn’t he have spell check on his computer program, lol. Graphic novels/comics tend to be serial in nature; where one expects that there is need to wait for the next issue to discover what happens. “Regular” novels have generally been complete where one finds the conclusion at the end and no need to get another book. So my point is – I really was surprised that I read a book only to get to the last page and there is no closure but the need to buy another book. So far, the BOTM selections have been ones that I’ve enjoyed the authors’ writing that I did not mind and actually wanted more books. I guess this is a bit of a rant cause there was at least one author who seemed annoyed at my surprise to his first book’s ending. There is a difference between books on a related theme like Jasper Fforde’s Egg over easy and the Fourth Bear and others where all of a sudden you are at the last page and you don’t have a clue to what happens. The Fforde books are each a complete story and had a proper end. Sorry for the rambling rant; climbing off soapbox. Thank you for the videos– I am loving them! I’ve been reading The Sword of Truth series, I’m 4 books in (5, if you want to count the prequel) so I have a lot left but I am enjoying it. Up next, I’m considering The Dark Tower series. I began reading book 1 some time ago but stopped once I realized it was a series and I was skipping town soon. It didn’t grip me like a good book should, but I’m willing to give it another chance. I am a kind and merciful being.